Applaws provides healthy dog and cat food | Order at Vetsend! What does Applaws stand for? 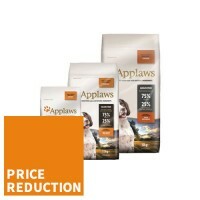 At Applaws they believe that making healthy pet food is very important. It is all Applaws does and wants to do. 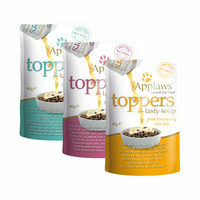 For example, Applaws has been happily creating healthy and natural Applaws cat food and Applaws dog food for 100 years. 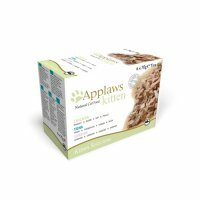 Striving for the highest quality using 100% natural ingredients is what Applaws is committed to. Free of artificial colours, flavours and free of preservatives. At least 75% of Applaws' wet and dry food consists of fresh fish or fresh meat. As a result, the food is full of important nutrients such as vitamins, minerals, amino acids and mega 3 and 6 fatty acids. 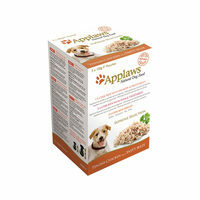 Its natural simplicity is the reason why Applaws food is so healthy for your dog or cat. Both the dog and cat food lay the foundation with the above-mentioned principles. In that respect they do not differ very much. 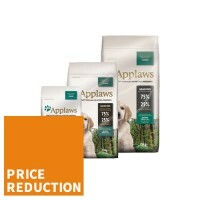 Vetsend has several different types of Applaws dry food included in its range. All the dry food from Applaws is very tasty due to the use of natural ingredients rich in mega 3 and 6 fatty acids. These nutrients contribute to the condition, skin, coat and muscles of your animal. A popular dry food is the Applaws Dog Food - Adult Small & Medium - Chicken. This dry food contributes to the above facets and also supports the kidneys and liver of your large dog. It also supports the intestinal flora by adding healthy bacteria. This flavour is available in different variants that are arranged according to the size of your dog. In cats the food of Applaws is mainly ranked by age. 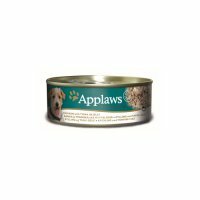 Medpets also has plenty of wet food from Applaws in its selection. Characteristic of this wet food is that it is a source of protein. All Applaws' wet food contains natural fish or beef and these ingredients contain a lot of protein. These ingredients have a supportive effect on the condition of the skin, coat and muscles. This wet food can also be combined with the dry food from Applaws. A combination of dry and wet food is always well suited for dogs and cats. 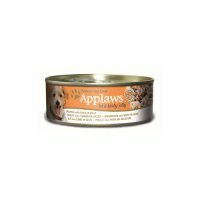 A well-known wet food from Applaws is the Applaws Cat - Ocean Fish or the Applaws Dog - Chicken & Vegetables with Rice. This wet food is tasty and, in addition to the above, is a source of taurine. This ingredient supports the condition of the eye and is good for the heart. In some cases Applaws' dry food is mixed with 100% natural vegetables. This gives the food even more flavour!